Variety is the spice of life—and that defines this delightful journey. You have full days to discover the incredible landscapes of Grand Canyon and Zion National Parks, plus the trip includes a fun array of unique experiences. From Las Vegas, we make our way to the one and only Grand Canyon, with a tour of Hoover Dam en route. We’ll spend two nights on the edge of the canyon, with time for hiking along the rim, dipping down into the canyon, and capturing a classic Grand Canyon Sunset from the right spot. Endangered California condors may fly overhead, and we’ll be looking! Next stop is Lake Powell, pausing en route for an Indian taco and to browse Indian art at the historic Cameron Trading Post. 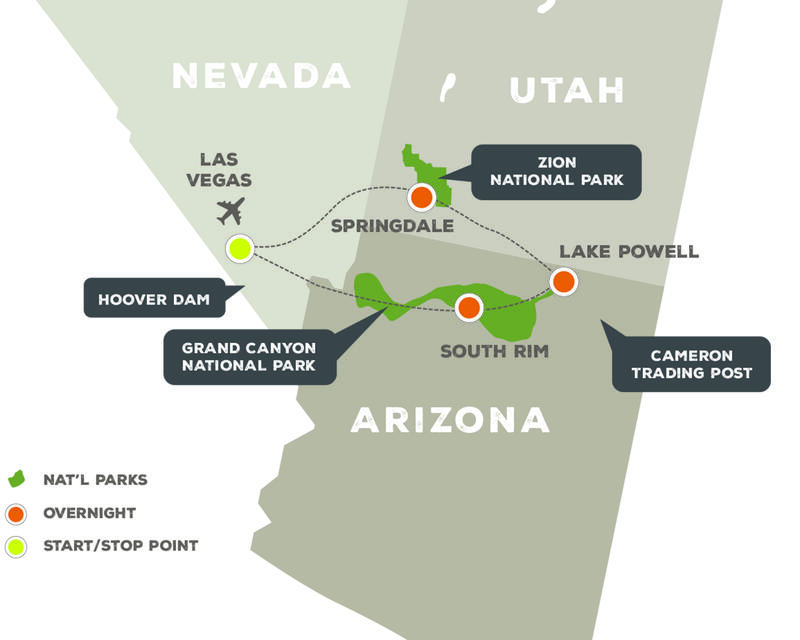 After a night at Lake Powell Resort, we’ll rise to float a serene stretch of the Colorado River just below Glen Canyon Dam, learning about the controversy surrounding the damming of the river. We spend our last days in the energetic town of Springdale, outside of Zion National Park, highlighted by a variety of hikes that lead us to and through Zion’s beautiful treasures. Return to Las Vegas for flights home—or a night or two on the town! Mix it up: Combine daily walks and hikes with river rafting, marveling at awe-striking feats of engineering, and stepping back in time at a historic trading post. National Treasures: The Grand Canyon, Glen Canyon, and Zion National Park are the shining stars on this active, outdoor exploration. Colorado River Rafting: Board a boat and head downstream along the region's major force. The Colorado River plays a key role in the story behind every canyon, rock formation, dam, and body of water in the region. This trip takes place at elevations ranging from 2,000 to 7,000 feet with most time spent at around 3,500 feet. Approximately 8 hours will be spent outside each day, and temperatures should be moderate in spring and fall. Activities include hikes on trails ranging from 1 to 5 miles and a raft trip on flat water. Meet your guides and fellow travelers this morning in Las Vegas, then drive a short distance to the immense Hoover Dam, the source of the largest reservoir in the country. After a stop to explore the Grand Canyon Caverns we arrive at our premier destination, the Grand Canyon. We'll check in to our lodging on the canyon’s south rim before meeting for dinner. This whole day is devoted to exploring GCNP. We might take an easy walk along the South Rim, or pick our way down along the canyon wall to see the rock layers up close. At day's end we head to a good vantage point for photographing the sunset and absorbing the shifting light. Catch the sunrise if you're an early bird, then we can squeeze in one last hike after breakfast. Bidding good-bye to this unforgettable place, we head for Page, stopping in at the famous and historic Cameron Trading Post along the way. The gallery there has become a showplace for fine Native American and Southwest art. We’ll round out the day with a stop at Horseshoe Bend Viewpoint, where we gaze down at the winding river from 1,000 feet above. After a full day of exploration, we arrive at our Lake Powell resort in time for dinner. Navajo guides accompany the group through a dramatic red cleft in the earth for an intimate, unforgettable slot canyon experience. Energized by this unforgettable morning, our guide chooses the perfect hike for the afternoon, likely in the Vermillion Cliffs area or in Grand Staircase-Escalante National Monument. Greet a bright-and-early morning at the base of the Glen Canyon Dam for a flat-water float on one of the most dramatic stretches of river in the Southwest. Lunch follows the float, then we drive to the charming town of Springdale, Utah, gateway to Zion National Park. Depending on our arrival time, we’ll have time to either take a short hike inside Zion National Park or enjoy strolling through town before dinner. Both options allow us to take in the astounding colors and amazing rock formations. 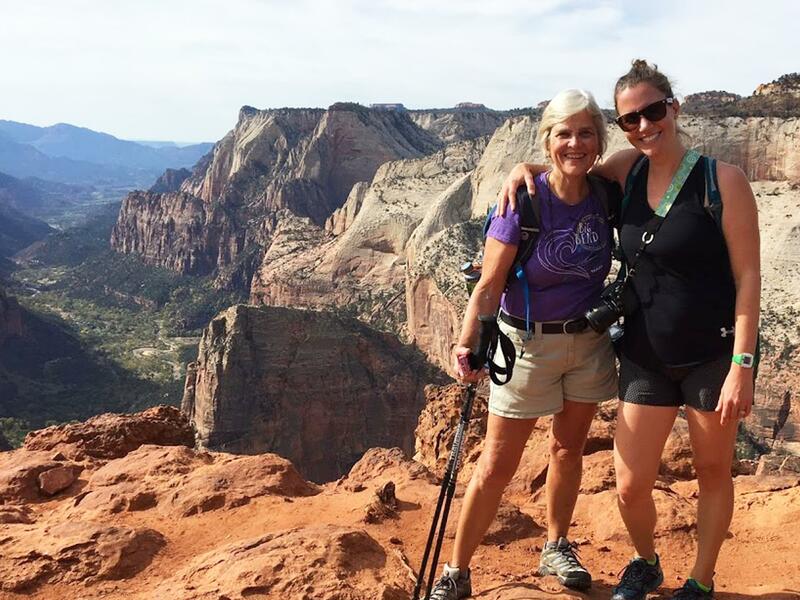 Your grand finale is an immersion in the iconic canyons of Zion, with your guide selecting the perfect hike to connect you with this incredible place. Your guide chooses the best hike for the day based on season, conditions, and the group’s desires. Possibilities include the Riverwalk/Narrows trail, Emerald Pools, or Scout Lookout, with each offering unique views, experiences, and memories to last your lifetime. Celebrate the shared journey and wonderful sense of comradery forged through travel at tonight’s farewell dinner. After a final breakfast and some deep breaths of the high desert air, settle back for the 3-hour drive to Las Vegas for early afternoon flights home. The spirit of the Southwest will linger for a long time! 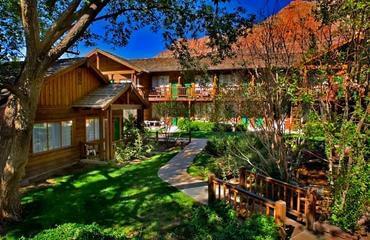 Located directly on the Rim Trail, Kachina Lodge is prime choice for active guests. 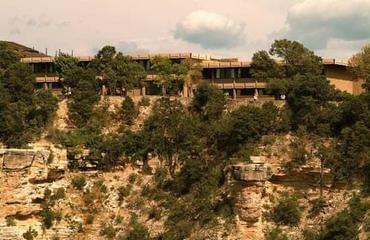 Built in the 1960’s, Kachina Lodge offers a more contemporary option for those staying in Grand Canyon. Of all of the lodging options in the Lake Powell and Page area, the original still holds a narrow lead from the others for one important reason – location! 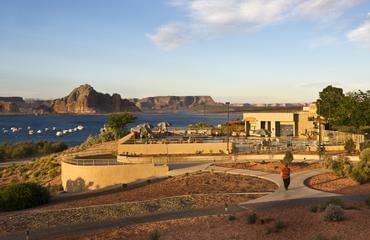 The only lodging option that enjoys direct shoreline views of Lake Powell, the resort has good rooming options.